Most people spend 90 percent of their time indoors. That’s especially troubling when you learn indoor air can be two to five times as polluted as the air outside. Air pollution ranks among the top-five environmental risks to public health, according to the Environmental Protection Agency. And that makes air purifiers much more than luxury items. But while most purifiers filter and trap undesirable air particles, a new product on the market destroys them. It took a solar engineer to figure out a new way to combat air pollution. Dr. Yogi Goswami, an engineering professor at the University of South Florida, had by 1995 lent his name to international attention for his extensive work and ingenuity with solar energy. But his resume took a step in a different direction when Goswami sought to end his son’s debilitating asthma symptoms. While exploring possible solutions, the renowned engineer discovered many of the air filters and purifiers on the market simply trapped harmful air particles. Goswami thought principles of solar technology could help remove airborne toxins. It took 20 years of experiments in light and nanotechnology to come up with the solution: an air purifier called Molekule that blasts UV light from LEDs onto a catalyst-infused filter to destroy particles (including bacteria, molds and viruses) that are 1,000 times smaller than those caught by high-efficiency particulate air (HEPA) filters. After fulfilling pre-orders, Molekule launched its online retail market last week. Here’s how the Molekule works. First, a fan in the Molekule pushes air over a pre-filter that catches large particles caught in any tradition air purifier like pollens, pet hair and dust. Everything else moves along to the nanofilter, where a UV light enacts a catalyst that reacts with oxygen and moisture in the air to produce free radicals. Those free radicals set to work right away, gobbling up all the organic matter in the nanofilter. Not bad for a little vessel standing just shy of two feet and less than 9 inches across. Molekule can run on wifi or off. When hooked to wifi, the device connects to the cloud and becomes “smarter” over time based on the needs of your home. And should you choose to download the iPhone or Android app, you can control Molekule remotely. Without wifi, Molekule can be controlled via its touch screen. When connected to the cloud, with sensors monitoring the machine’s filters will automatically signal when a filter change is required. That’s a giant step up from the fewer than 20 percent of air-purifier owners who actually ever bother to change their filters of their own accord. The sensors will communicate virtually and you’ll get the filters shipped right to your door. For people with respiratory issues, Molekule may be a sound investment. 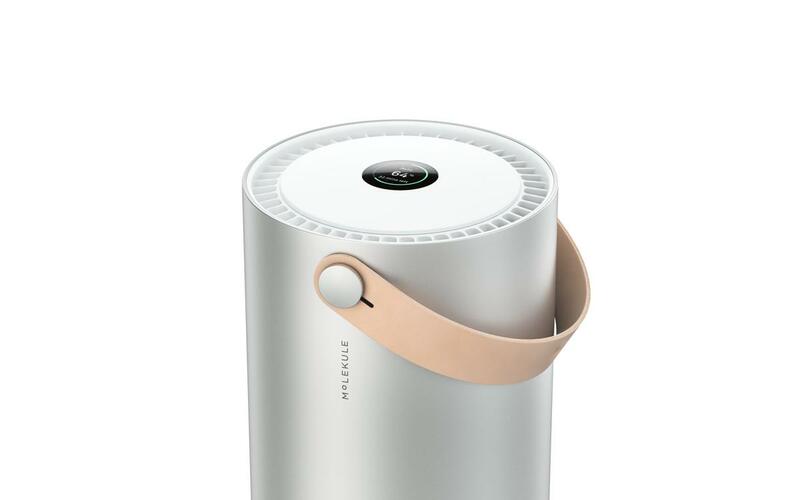 The Molekule retails for $799, putting it at the higher end of what most air purifiers cost, coming with a year’s supply of filters as well as a one-year limited warranty. Every pack of filters after that costs $99 on a subscription basis. Molekule additionally offers a payment plan starting at $71/month, making the machine significantly less expensive than allergy medication—and impossible to quantify (if it works for you) in terms of the value of healthy, breathable air.